Eric Eldon over at the Venture Beat is reporting from an interview with VirtualTourist and OneTime founder J.R.Johnson in his post "No free lunch: The story behind VirtualTourist’s big exit, and Lunch.com". 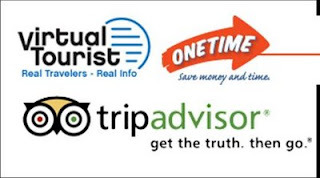 For those keeping a track of the large number companies bought by TripAdvisor recently, VirtualTourist and OneTime were acquisitions nine and ten in year of frenetic activity by the Expedia owned Tripadvisor (yes...Expedia owns TripAdvisor:)). Not sure how he did it (and he does not credit Johnson with leaking it) but Eldon has discovered that Expedia/TripAdvisor paid $85mm for the two companies. More back story to the transaction over at the full VentureBeat post. Hat tip to HotelMarketing where I first saw the story. Will be interesting to see what Expedia actually finally evolves into. A arbitrage shop (meta search) or remain mainly as an OTA. for 7+ million users thats thats a nice number. Congrads to JR!